In a photo finish, snake boat Devas Chundan powered by oarsmen of Jesus Boat Club lifted the coveted silver trophy in the annual Nehru Trophy Boat Race, billed as the country's biggest water sporting event, at Punnamada Lake here today. Devas whizzed past Karichal Chundan of Freedom Boat Club and Muttel Kainakari of United Boat Club in a thrilling race witnessed by hundreds, including a large number of foreign tourists. Over 4,000 oarsmen put on display their rowing skills in the event in which competitions were also held for different types of smaller craft. Union Health Minister Guhlam Nabi Azad had inaugurated the boat race, which was instituted in early 1950s, to commemorate Jawaharlal Nehru's boat ride in the backwaters of Kuttanad area during a visit to the state. 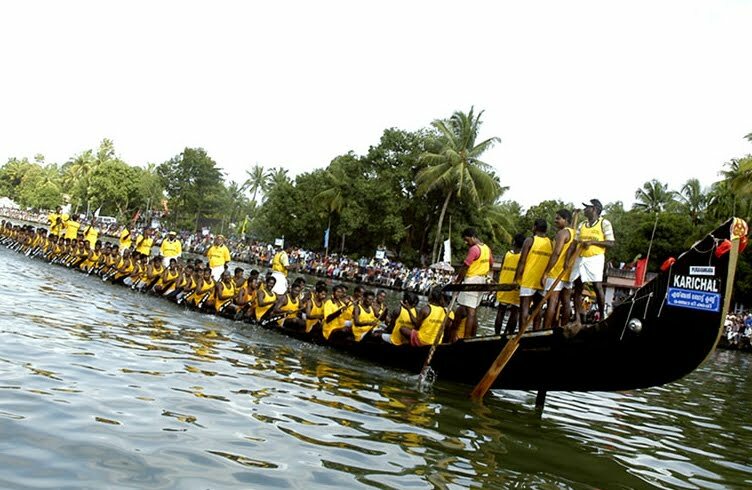 The race of long and sleek 'snake boats', unique to Kerala and known as "chundam vallams in local parlance, is the highlight of the event in which 16 teams competed. Enchanted by the beauty of the palm-fringed villages on the banks of the backwaters and the sporting spirit of the people, Nehru suggested conduct of the boat race on an annual basis. He also sent the trophy to be given to the winning team. The boat race is held on second Saturday of August every year. Nehru Trophy Boat Race is associated with the visit of late Pandit Jawaharlal Nehru, the then Prime Minister of India to Alappuzha. He chanced a trip from Kottayam to Alappuzha by boat, through water logged Kuttanad. 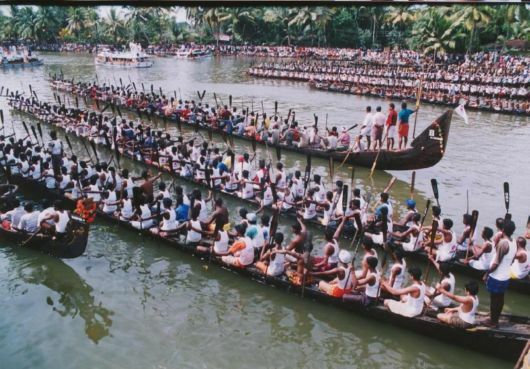 A pageantry of boats accompanied him on the trip.The first race was an impromptu once conducted in 1952 in honour of Panditji who visited Alappuzha.In that race of snake boats, Nadubhagam Chundan stood first. Panditji, who was thrilled and excited in the performance of the oarsmen, jumped into the Nadubhagam Chundan, forgetting all security arrangements.The boat proceeded to the boat jetty carrying the Prime Minister.On his return to Delhi in December 1952, Nehru donated a Silver Trophy, which is a replica of a snake boat placed on a wooden abacus.The trophy bears the following inscription above his signature.“To the winners of the boat race which is a unique feature of community life in Travancore Cochin. 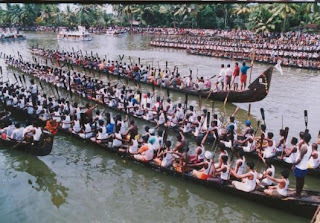 "This trophy later came to be known as Nehru Trophy, and in fond memory of great Panditiji, the people of Alappuzha celebrate the Nehru Trophy Boat Race every year. 2012 will celebrate the 60th year of Nehru Trophy Boat Race and the Executive Committee had decided to celebrate it in splendour. 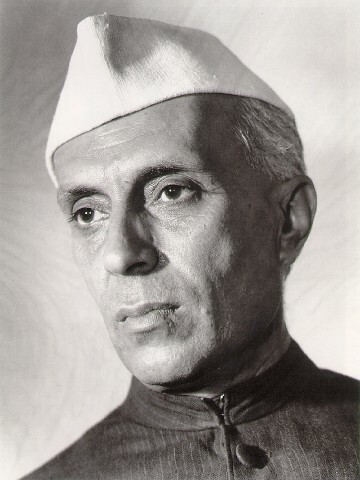 The Statue of Pandit Jawahar Lal Nehru will be unveiled at Punnamada during the next year's event. It is also decided to launch a web portal for the event with contents in three languages English, Hindi, Malayalam.